The 2002 PC game Neverwinter Nights was hyped as Bioware’s follow-up to the highly acclaimed Baldur’s Gate II, but the actual product bore little resemblance to its predecessor. Where the Baldur’s Gate (and semi-spinoff Icewind Dale) offered structured role-playing experiences using the Dungeons & Dragons core rules and official settings, Neverwinter Nights was created to be a toolkit for end users to craft their own scenarios to share with other players. The game and its expansions did include a ready-to-play campaign and adventures. These were fine (if thin) takes on Bioware’s hub-based narrative frameworks, but the real meat and bones of NWN rested in its robust scripting/design tools and the talents of those folks ambitious enough to put them to use. 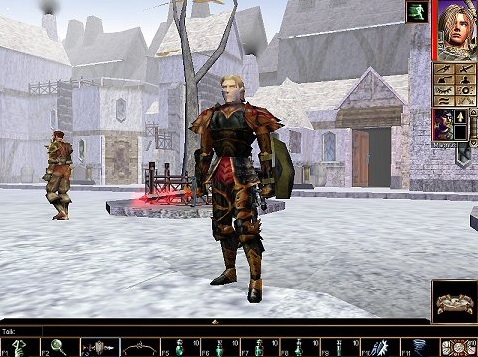 As a result, Neverwinter Nights felt a bit disappointing during its immediate post-launch phase, but rapidly gained momentum once dedicated fans began to familiarize themselves with its creation kit and started releasing a steady flow of custom content. The user-created adventures ran the gamut from straightforward adaptations of classic AD&D modules to multi-part original epics requiring custom mod and content packs to run. 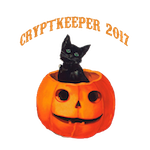 The quality varied immensely, as did the attention to things like bug-testing and balancing, but the sheer volume of material — shared through a handful of dedicated fan portals — guaranteed that there were enough of these efforts worth one’s time. I collected at least three DVD-R’s of the stuff over the course of my Neverwinter Nights fandom, and took a great deal of satisfaction in stringing together various unrelated scenarios into a seamless campaign capable seeing a first level neophyte character straight through to the level 20 experience cap. A few of the adventures still stand out in my memory — the interlocking Shadowlords/Dreamcatch/Demon series of campaigns, the high level Clash of Heroes modules, and the horror-tinged Halo of Flies/Shadow of a Soul on Fire double feature. The episodic and scattershot nature of the adventures led to a greater investment in one’s character. The ever progressing collection of stats and gear was the sole constant for the player, adding and old-school pen-and-paper feel of the proceedings. There were even dedicated customization modules which could be loaded between adventures for folks who wanted to tinker around with things like armor color and design before moving on to their next quest. Neverwinter Nights used the recently released 3rd edition D&D rules, which dispensed with the fairly rigid boundaries for character creation/development in previous version of the system in favor of greater flexibility when it came to ability scores, multiclassing, and skill selection. Aside from character creation and a few terms in the UI’s event scroll box, the specifics of the 3rd edition rules were hidden under the game’s hood. What I did see, however, set me to wondering about the various changes. I originally ditched AD&D for Warhammer Fantasy Role Play because of the former’s rigid complexity. Having goofed around with multiclassing and feat selection and ability score advances in Neverwinter Nights, I grew curious about what other changes had been made for the better. 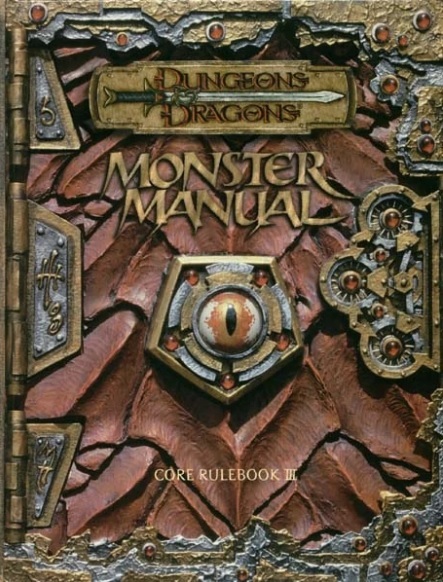 Money was fairly tight at the time and the hardcover rulebooks were expensive, so that curiosity would’ve died on the vine if Wizards of the Coast (who’d acquired the ailing TSR in 1997) didn’t decide to pull an absurd mulligan by releasing a “3.5″ revision of the D&D rules only a couple years after the 3rd edition dropped. Fans (at least the ones I still communicated with) were incensed by this blatant cash grab. It was a slap in the face to everyone who bought the previous set of rulebooks and the True Fans needed to sent WotC a strong message. Geeks being geeks, the strong message turned out to be “buy all the 3.5 books on the day of release, then dump the 3rd edition books onto the secondhand market for pennies on the dollar.” Thanks to their bold act of protest, I was able to pick up the 3rd edition Player’s Handbook, Dungeon Master’s Guide, and Monster Manual for under thirty bucks total. The trio of books made for some great goof-off (and bathroom) reading. Besides appreciating how the “d20″ standard managed to streamline an unwieldy mess into set of easily understood mechanics, I was also fascinated by how certain classes/races/monsters had evolved over the past decade and a half. The “classic” Tolkienesque/MMPB cover fantasy aesthetic of my childhood had undergone a post-grunge facelift where cornrows, piercings, and tribal tats had become the norm along with more dedicated efforts toward diversity. Some of the artistic manifestations may have bordered on the silly side, but it was still nice to see that things had progressed since the swole-and-sandal days of the Reagan Era. For all the sensible changes D&D made for its 21st Century relaunch, I was amazed to see so many residual bits of codified oddness in the books. Passages involving random encounter tables and generating local power structures should’ve gone by the boards after the 1st edition, replaced by broad guidelines and a faith in the end users’ creative intelligence. I get why the designers would want to offer something concrete for a novice dungeonmaster to fall back upon, but it also encourages a rigid reliance on THE RULES which can have some dire consequences down the road. Yet there was something nostalgically comforting about this excessive attention to detail. No matter how many nose rings the characters sport or how much the physiology of the umber hulk has changed over the decades, no matter how simplified the core mechanics have become, D&D still retains the need to specify that 6% of a village’s population will consist of half-elf tradesfolk. Even if I never play the game again, I’m glad that foolish consistency has stayed a constant.